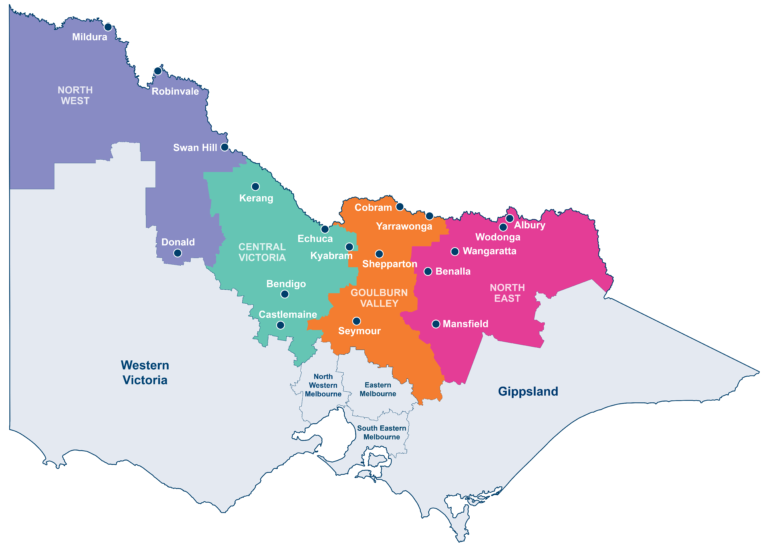 CFA Districts CFA has five regions across Victoria. These Regions are divided into 20 Districts. Monitoring Regional Mobile Radio RMR radio traffic from Bendigo and surrounding sites.